I'm interested! Where do I learn more? Attend a free information session held at WMCAT on Monday, June 19 at 9 a.m. & Monday, June 26 at 9 a.m. For more information, visit: wmcat.org/adult-programs. Have you received your high school diploma or General Education Development (GED)? Do you live in Kent County, receive some form of public assistance, and have no record of a felony? Are you looking for a meaningful career that can give you income security? If you’ve answered “yes” to these questions, the West Michigan Center for Arts + Technology (WMCAT) has an opportunity for you. WMCAT is seeking adult students for a tuition-free pharmacy technician training program! The nine-month program, sponsored by Meijer Inc., begins in September and includes externships, skill development, and career placement assistance. 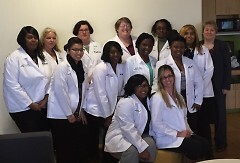 WMCAT encourages those who are interested to attend a free information session held at their facility (98 E. Fulton St., Grand Rapids, Michigan, 49503) on Monday, June 19 at 9 a.m. and Monday, June 26 at 9 a.m.
Pharmacy technicians can work in a variety of settings, including retail, hospital, specialty pharmacies, or long-term care facilities. And the job field looks promising. 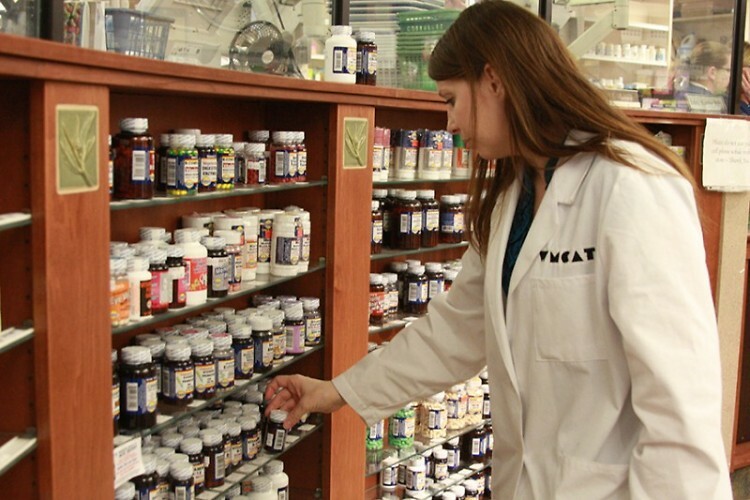 According to the Bureau of Labor Statistics, availability of pharmacy technician jobs is expected to grow nine-percent between now and 2024. The national median pay is $14.86 an hour. Parks will join her classmates at WMCAT’s 2017 Adult Graduation ceremony held on Thursday, June 15 at 6 p.m. at St. Cecilia Music Center located at 24 Ransom Ave. NE, Grand Rapids, MI 49503. The event is open to the public. Parks has already started her career at Spectrum Health thanks to WMCAT’s pharmacy technician program. The pharmacy technician program is one of three tuition-free training modules offered to under and unemployed adults in Kent County through WMCAT. To register for WMCAT’s free informational sessions about adult programs, visit: wmcat.org/adult-programs/how-to-enroll. For more information on WMCAT’s adult programs, visit: wmcat.org/adult-programs.